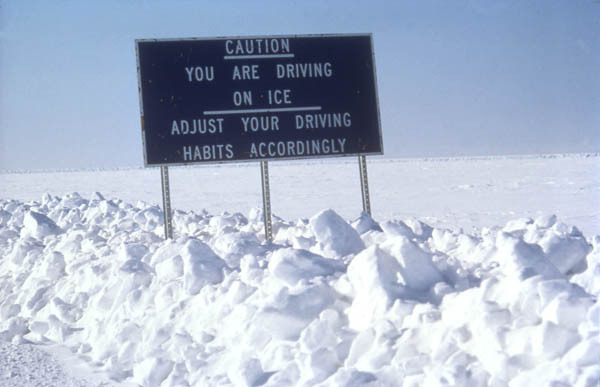 When metre-thick ice covers the river system and the Arctic Ocean, ice roads are used to move mainly industrial materials and equipment to the exploration sites of gas and oil. This creates heavy traffic in this area during the last winter month. Cost saving is achieved when road transport is used rather than movement by air.